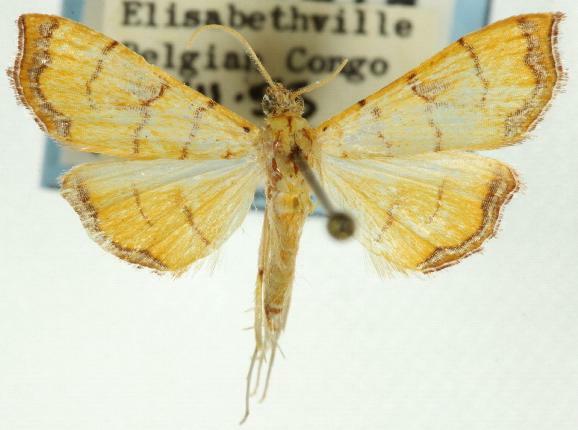 The adult moths of this species are yellow with broad brown patterned wing margins, and three or four incomplete brown zigzag lines across each forewing, and two such lines across each hindwing. The moths have a wingspan of about 2 cms. Series 7, Volume 19 (1907), p. 54.